The Pub and the People, coming to Bloomingdale at 1648 North Capitol Street NW will be a neighborhood restaurant and bar with 70 seats indoors and a potential for up to 100 outdoors. The largest patio in the area will also provide a view of the U.S. Capitol Building (which will be nice, assuming it ever reopens). 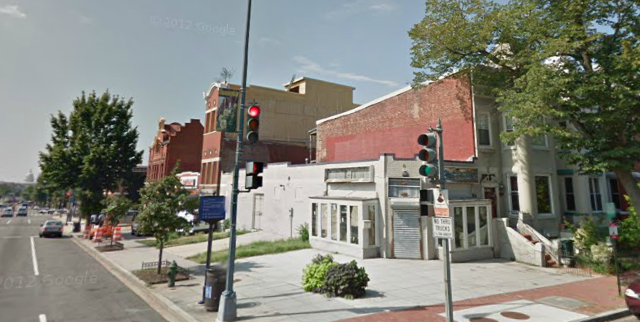 Indoors, the space will bring the atmosphere of DC’s early pubs and restaurants. Think exposed brick and wood, not suspenders. We have recruited Chef Dan Dalcin, currently Sous Chef at the award-winning Black Salt in Palisades. Chef Dan’s menu will offer traditional American cuisine, and will draw influence from several other cuisine types: Southern, Southwestern, Seafood, Asian, and Vegetarian. Chef Dan has promised us generous portions (no small plates!) of great food, using local ingredients whenever possible, and some interesting new twists on old favorites. Vegetarian options will even be hearty, new and exciting – not your typically lackluster mushroom burger or eggplant sandwich. Drinks will include craft beers and cocktails with an emphasis on DC-based breweries and distilleries.